The St Andrew's Day Parade, today, in Perth, Scotland. Perth and District Pipe Band, Glenalmond College Pipe Band, members of the Society of High Constables of the City of Perth, representatives from Perth Schools, Air Training Corps, Army and Sea Cadets, Scouts, Guides, Councillors, MPs, MSPs and the Lord Dean of Guild. Tour Scotland St Andrew's Day. St Andrew's Day Celebrations in Blairgowrie and East Perthshire, Scotland. Massed Pipes and Drums in the Wellmeadow, including Blairgowrie and Rattray Pipe Band, Alyth and District Pipe Band, Forfar and District Pipe Band and the City of Brechin Pipe Band. 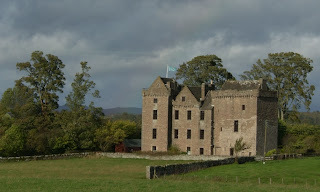 Tour Scotland November Free Admissions. To mark St Andrew's Day Historic Scotland is offering free entry to the following properties on Saturday 29th and Sunday 30th November, 2008. This list may be subject to change. Aberdour Castle and Garden, Arbroath Abbey, The Blackhouse Arnol, Blackness Castle, Bothwell Castle, Caerlaverock Castle, Calanais Standing Stones, Cardoness Castle, Castle Campbell, Corgarff Castle, Craigmillar Castle, Craignethan Castle, Dallas Dhu Distillery, Dirleton Castle, Doune Castle, Dryburgh Abbey, Dumbarton Castle, Dunblane Cathedral, Dundrennan Abbey, Dunfermline Abbey and Palace, Dunstaffnage Castle and Chapel, Edinburgh Castle, Edzell Castle and Garden, Elgin Cathedral, Fort George, Glasgow Cathedral, Huntingtower Castle, Huntly Castle, Iona Abbey, Jedburgh Abbey, Linlithgow Palace, Maeshowe Chambered Cairn, Melrose Abbey, New Abbey Corn Mill, Rothesay Castle, St Andrews Castle, St Andrews Cathedral, Skara Brae, Smailholm Tower, Spynie Palace, Stirling Castle, Sweetheart Abbey, Tantallon Castle, Tolquhon Castle, Urquhart Castle. Tour Scotland Photographer. I normally shoot all the photographs and videos that can be viewed on all my Scottish websites. The photograph above, however, was taken by a friend of mine, and shows me taking photographs on the coastline of the East Neuk of Fife, Scotland. Tour Scotland Cameron Kirk, Fife, Scotland. Cameron Parish was anciently a part of the widely extended parish of St. Andrews. It became a separate and independent parish in 1645. 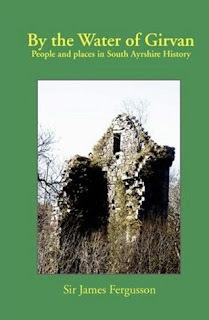 The name of the parish was taken from the farm of Cameron upon which the manse and church were built. Tour Scotland Coastal Winter Sun. A video from this afternoon on the east coast of Scotland. Tour Scotland November Hill Sculpture. A dull, and cold November day in Scotland. 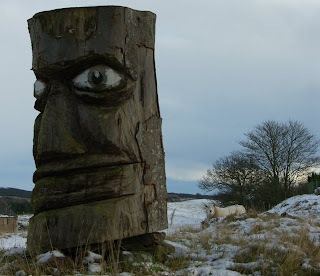 Came across this intriguing wooden scuplture in a field of Scottish sheep. Tour Scotland, first day of snow this November, on a narrow road in Perthshire, Scotland. Tour Scotland Wormit Coastline. A beautiful November day. 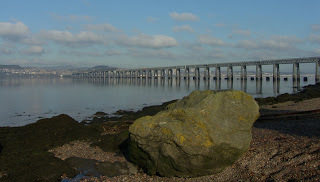 From the coastline at the village of Wormit, Fife, Scotland, you can get great views of the River Tay and the Tay Railway Bridge, with the city of Dundee in the background. 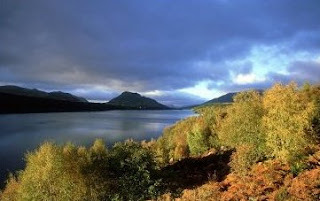 Tour Scotland A90 November. 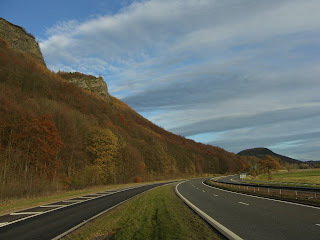 At Perth, the M90 Motorway becomes the A90 Road, running north east to Dundee. 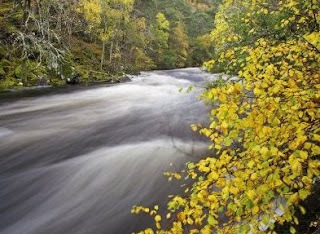 I took this photograph today just outside Perth whilst on a small group tour of Scotland. Tour Scotland Randolph St, Buckhaven, Fife, Scotland. Was very pleased to find this old photograph today. This is the street in which I was born in Scotland. Even though I didn't spend much of my life there, it is nice to come across such a photograph. Tour Scotland Ploughing Match. Logiealmond, Glenalmond and Lynedoch Ploughing Society, Annual Ploughing Match today in Scotland. Tour Scotland early November. 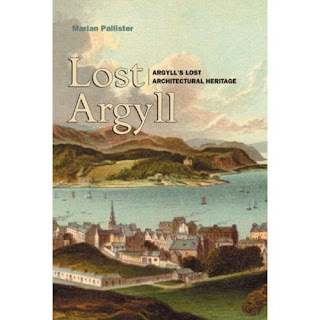 Photographs from an early November Small Group Tour of Scotland. Tour Scotland November Morning Drive. A narrow rural road just north of Scone Palace. Tour Scotland Watchtower. 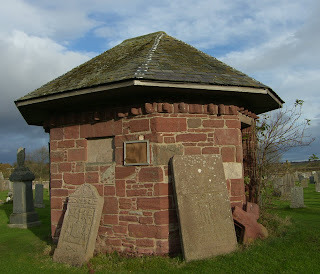 Coupar Angus graveyard includes this polygon shaped watchtower that was employed in the 19th century as a guard against body-snatchers. Hello Sandy, I have just spent a lovely afternoon with your website. Our family left Dundee in April, 1948, we lived at 68 Gardener Street, Lochee, Dundee. My Dad had a coal and kindling business in Lochee Road his name was William (wullie ) Stark. We migrated to Australia and at present I and my husband Peter are living in the top northwest corner of Victoria, in a town called Merbein, grapes and citrus are grown in this area, funny thing is the children next door were here this morning wanting me to speak with a Scottish accent!! Peter and I have 7 children and 23 grandchildren 4 great grandchildren. Even after all these years I still am a Scot at heart. Wish I could make that trip. Thank you for taking the time to provide so much information. Warmest Regards Edith Peterson. Tour Scotland Remembrance Sunday. I took the above photograph in Kilrenny Cemetery in my home area. 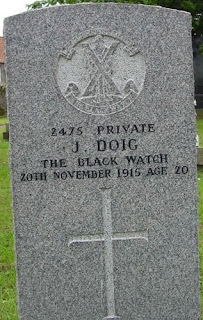 I have no connection to Private J Doig of the Black Watch who died on the 20th November, 1915, aged just 20. I do not know his story, but I honour him today, the second Sunday of November, Remembrance Sunday. 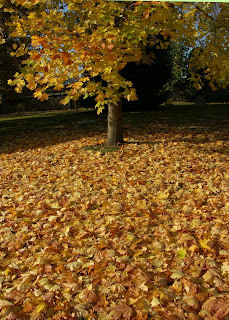 Tour Scotland Fall Leaves. A very beautiful time of the year in Scotland. Beautiful photographs are easy to acquire, even for the beginner. 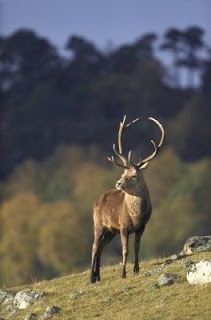 I shot the photograph above in Perthshire, Scotland. Tour Scotland Tay Railway Bridge South. A video of the Tay Railway Bridge from the South Signal Box, Wormit, Fife, Scotland. Scottish Diesel passenger train crossing.